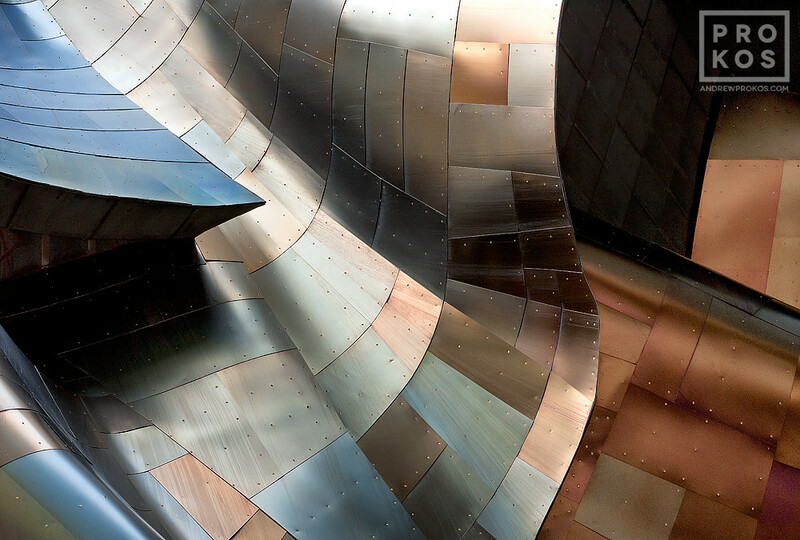 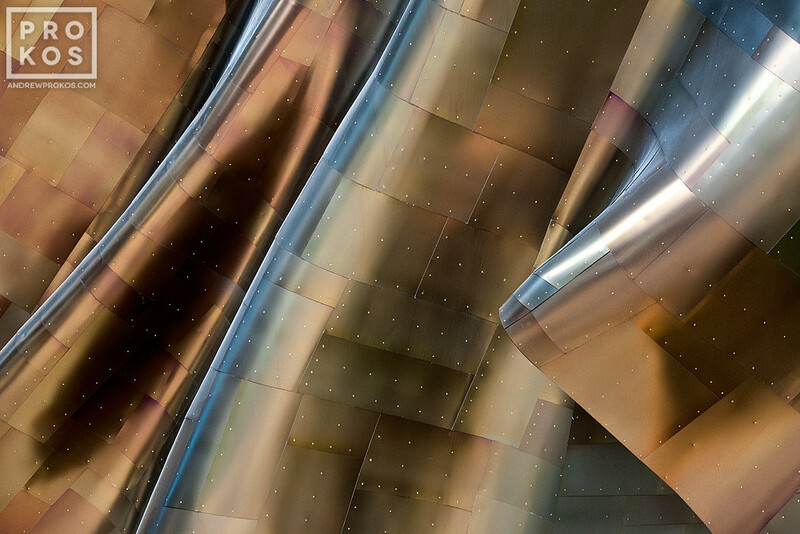 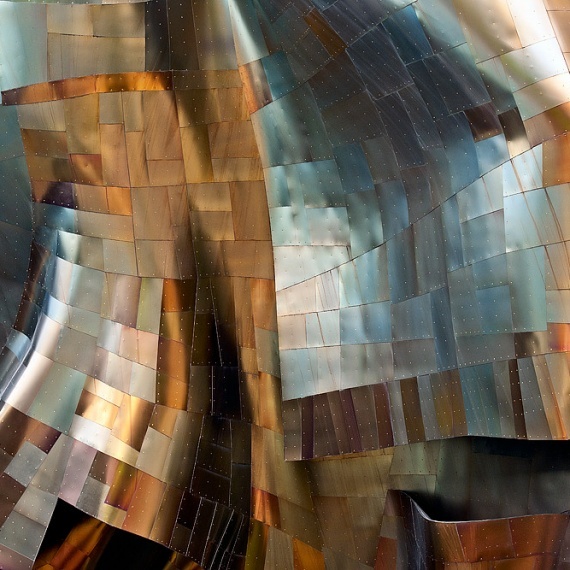 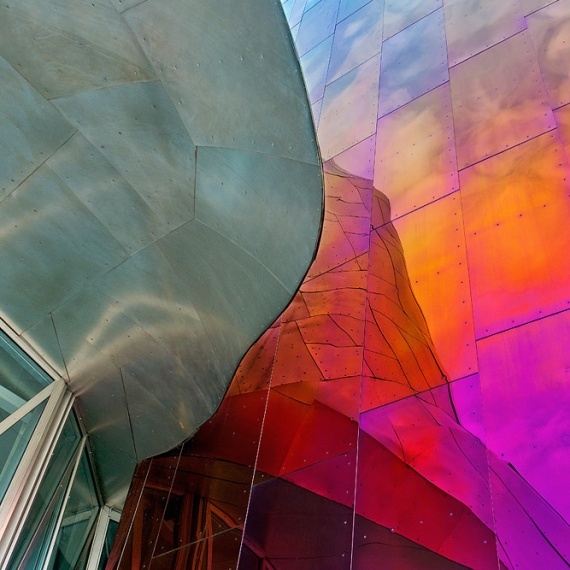 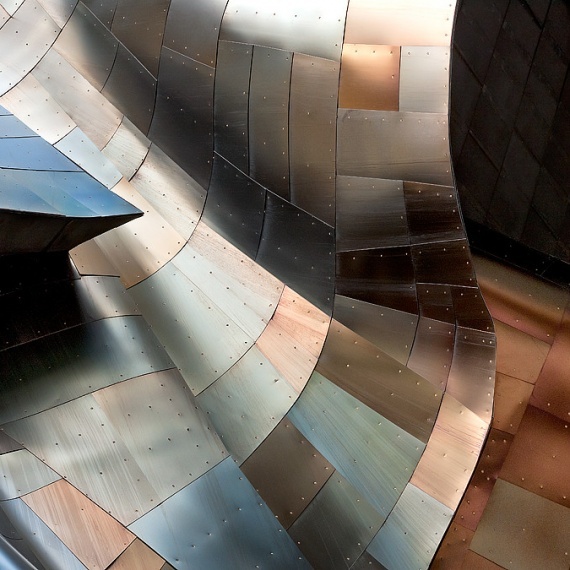 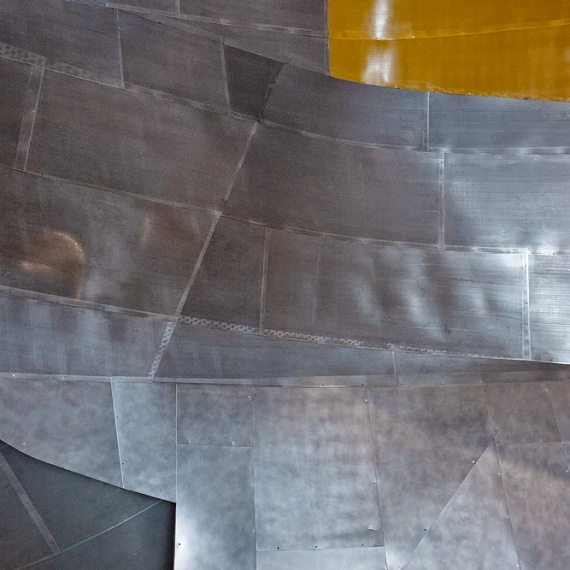 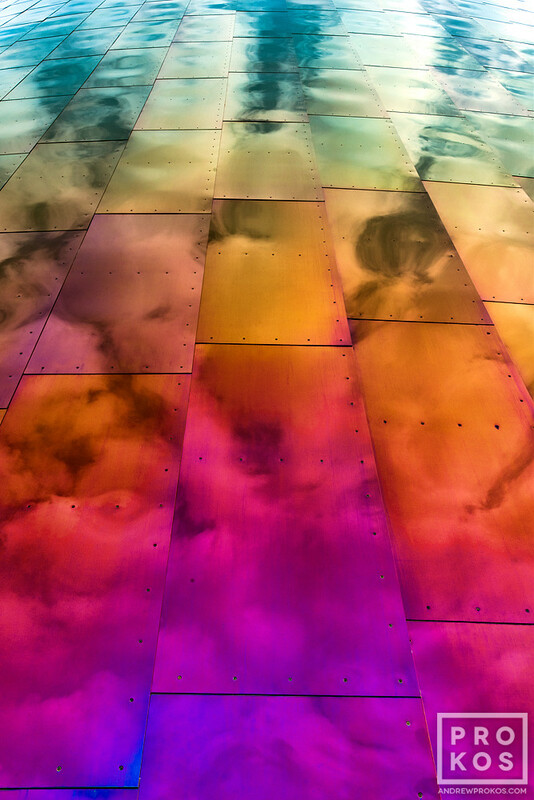 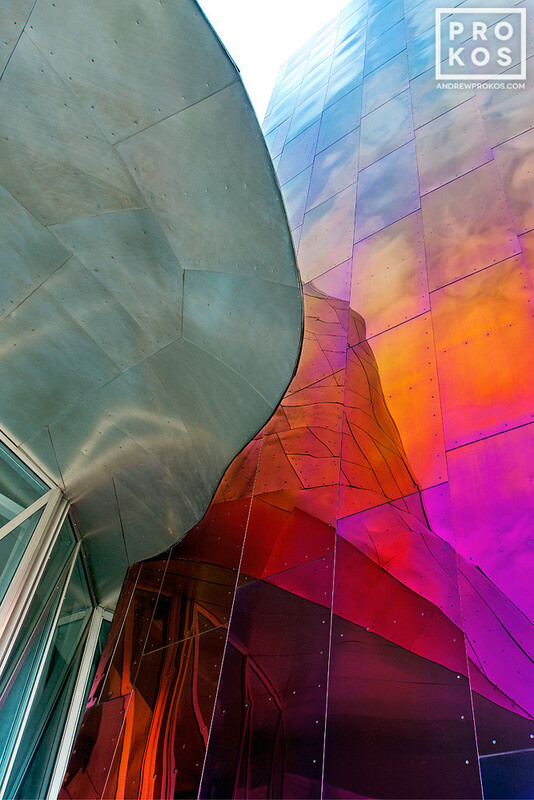 Gehry’s Children is a series I completed while on location in Seattle. 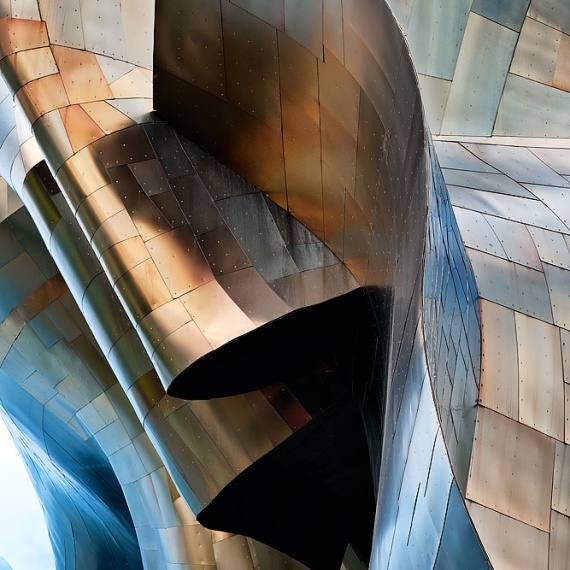 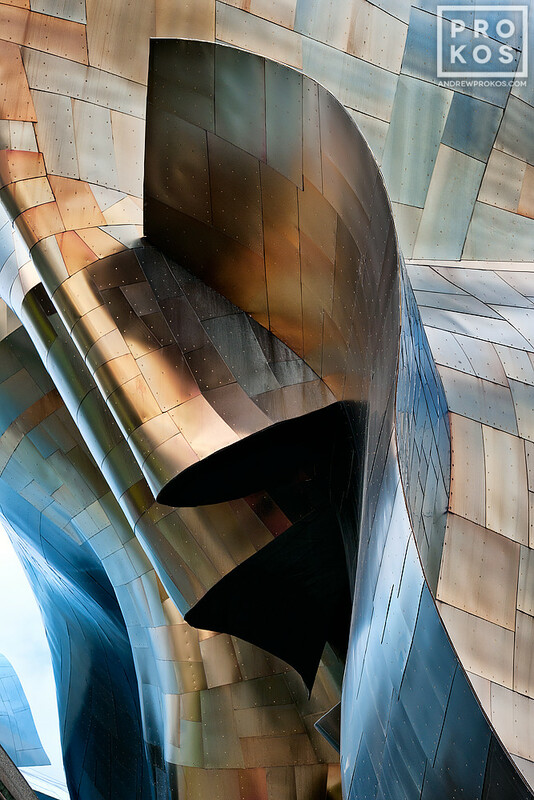 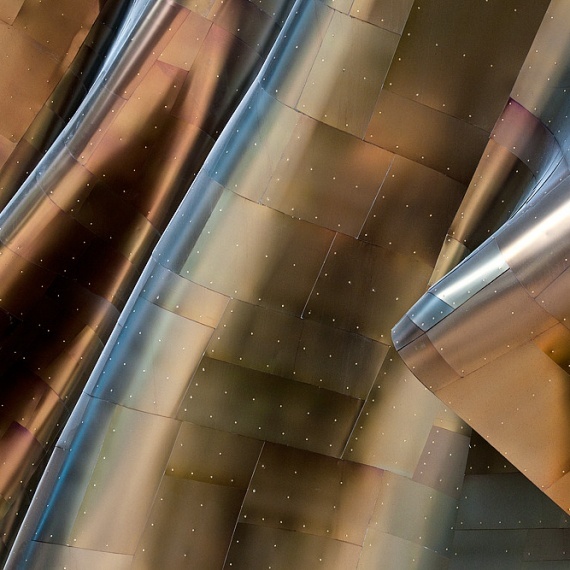 I have always been fascinated by the way Frank Gehry incorporates materiality into his buildings, something which he pioneered as an architect. 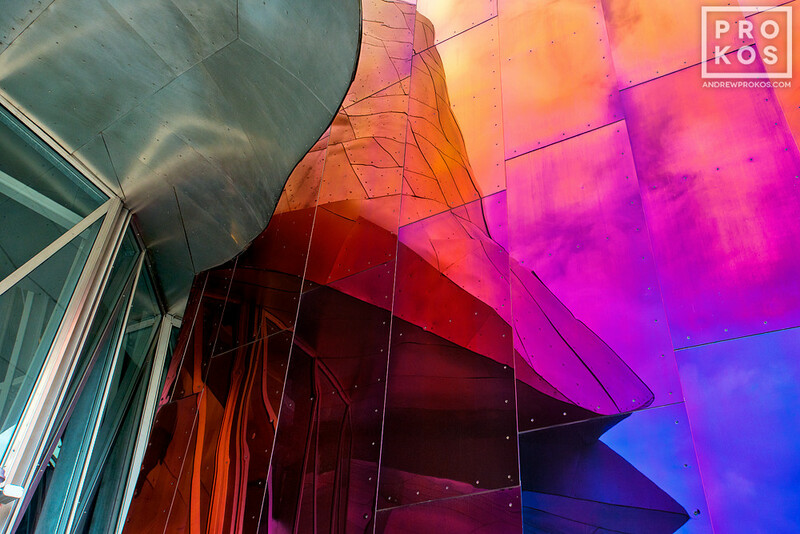 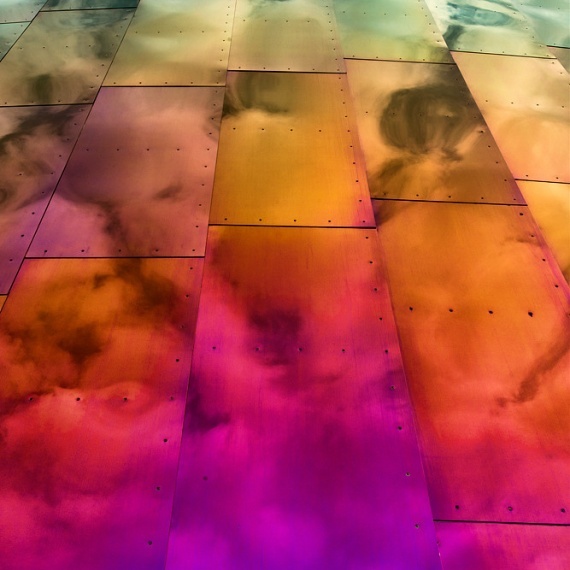 He is not only a master at playing with forms, but he also gives us manifold textures and colors…from titanium, polished steel, iridescent glass and molded plastic. 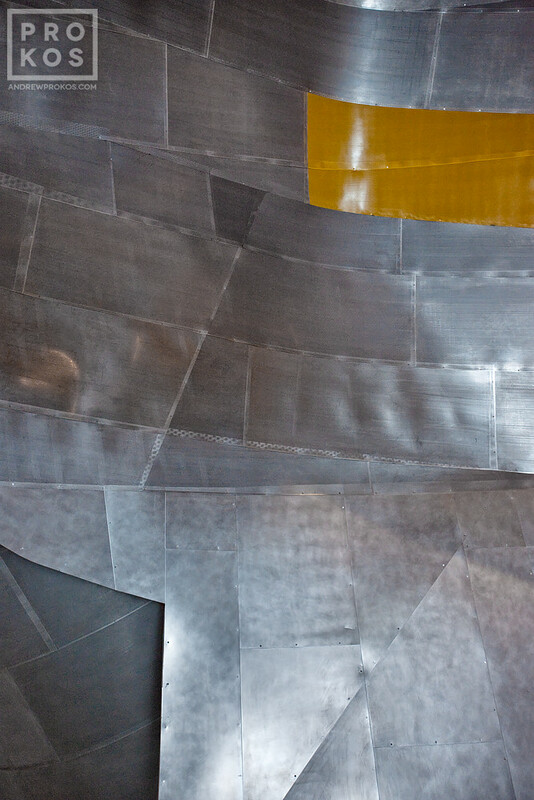 This series is a study in geometry and texture. 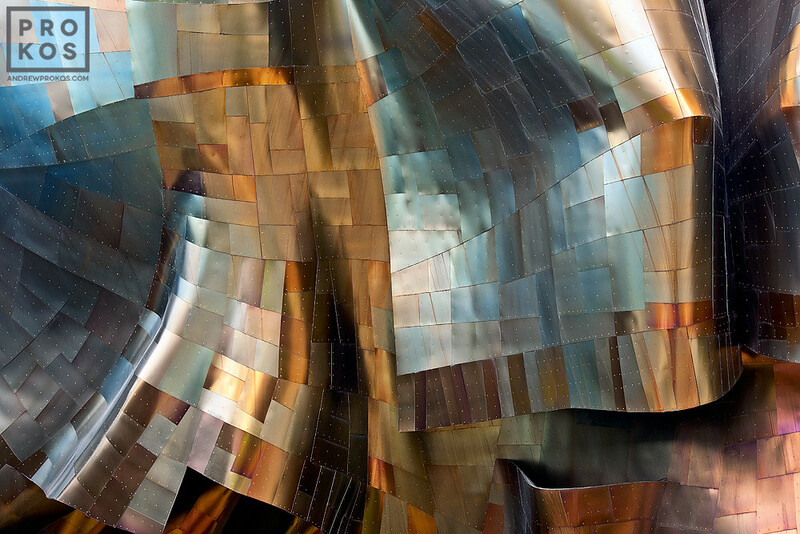 My intent is to bring the viewer closer to the building and give them access to another way of seeing it. 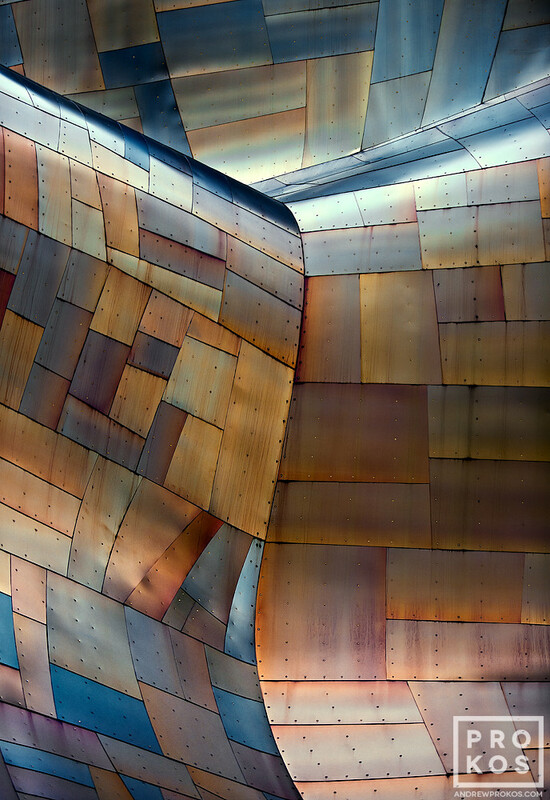 For me this is one of photography’s main roles, to present the subject in a new way that the viewer may not have perceived before. 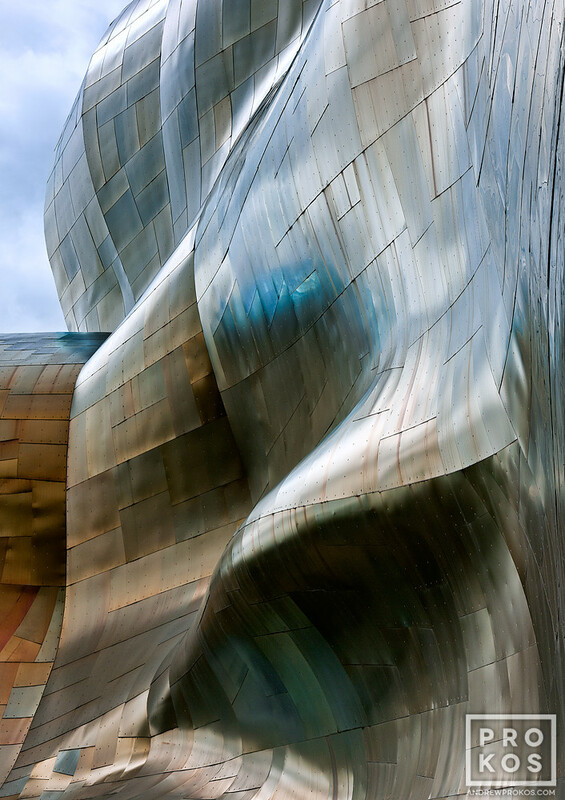 The viewer may or may not ever see this building in person, so it is photos that will form their perception of it. 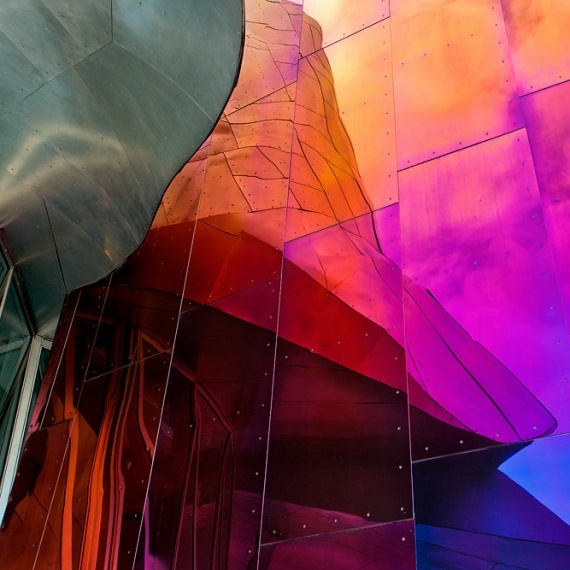 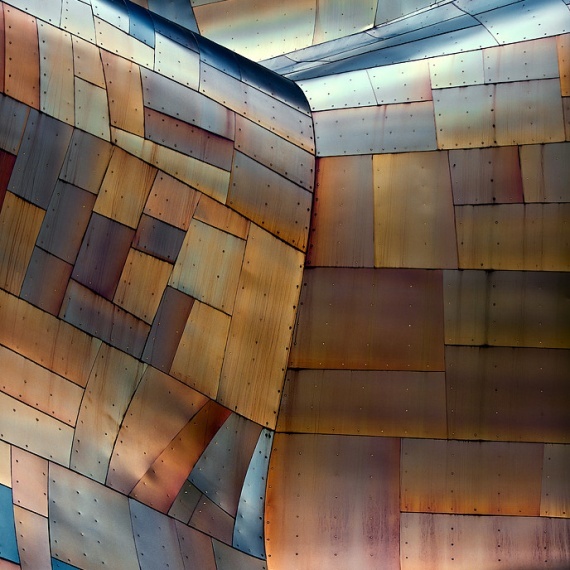 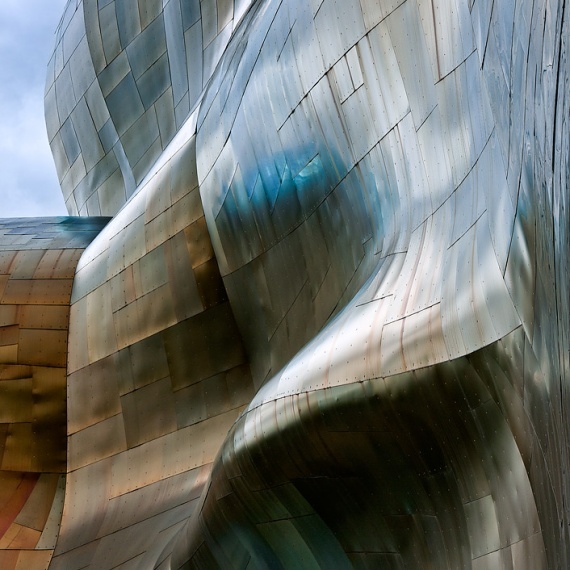 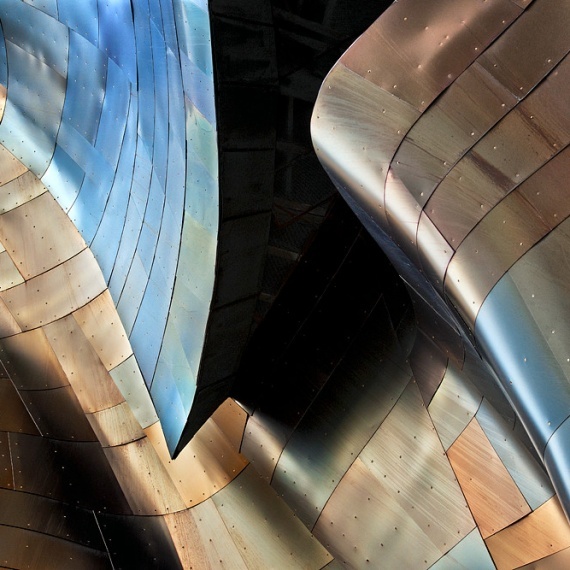 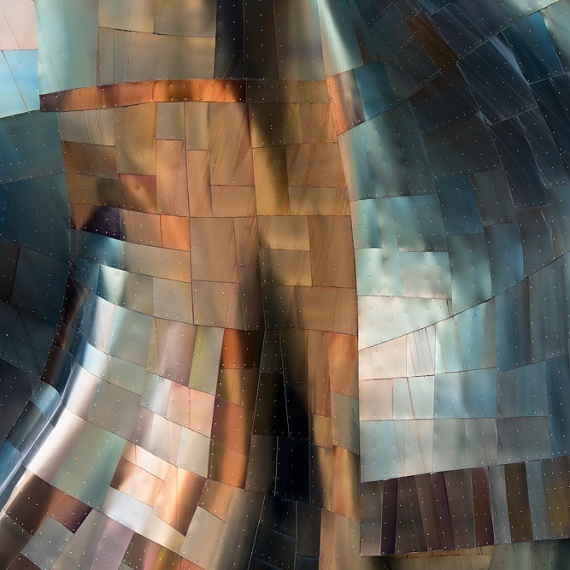 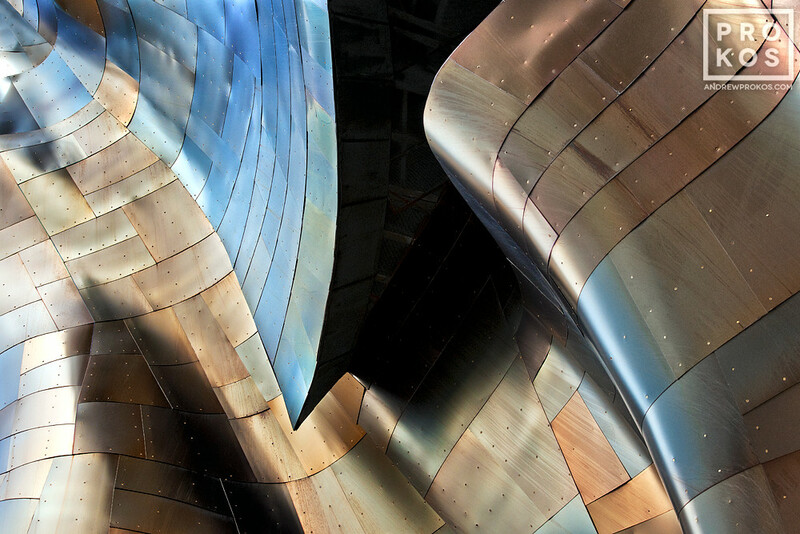 Gehry’s Children has won numerous awards, including Silver Medals at the International Photography Awards, the Prix de la Photographie, and the London International Creative Competition. 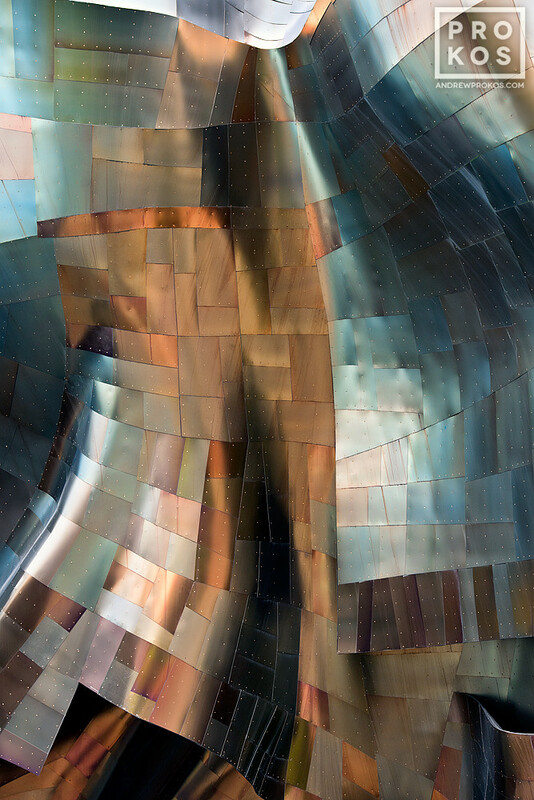 The series was recently exhibited at 21_21 DesignSight museum in Tokyo as part of the exhibition Architect Frank Gehry – I Have An Idea.